WE ARE LOCATED IN THE AV. ITZAES, ONE OF THE MAIN AVENUES OF THE CITY; THE HOTEL IS CLOSE OF THE ZOCALO OF THE CITY AND THE ONE OF THE BUS-STATION AND CLOSE OF THE ZONE OF HOSPITALS AND ABOUT 15 MINUTES OF INDUSTRIAL ZONE AND THE AIRPORT INTERNATIONAL OF MERIDA . 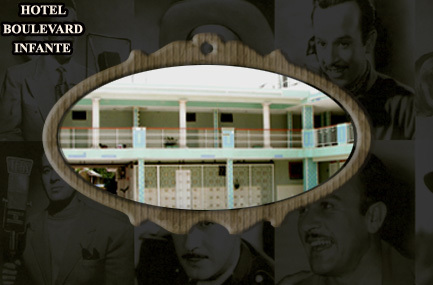 THIS BUILDING, HAS MUCH IMPORTANCE, BY TO HAVE BELONGED TO ONE OF THE MORE FAMOUS AND IMPORTANT STAR OF MEXICO, THE ACTOR AND SINGER PEDRO INFANTE; YOU CAN VISIT A SMALL GALLERY, OF THE SAME ONE.